Care2 Healthy Living | What's the Difference: Blueberries vs Wild Blueberries? 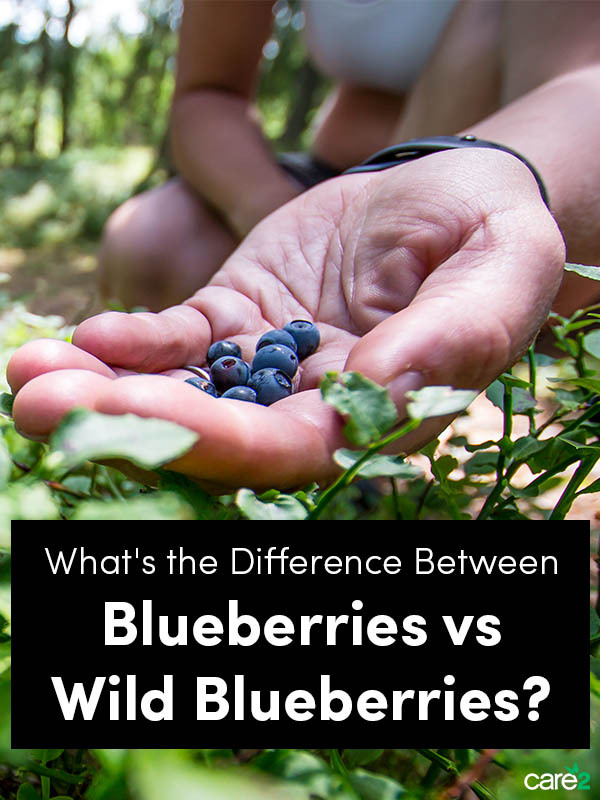 What’s the Difference: Blueberries vs Wild Blueberries? Wild blueberries have been a part of the native North American’s diet for centuries. 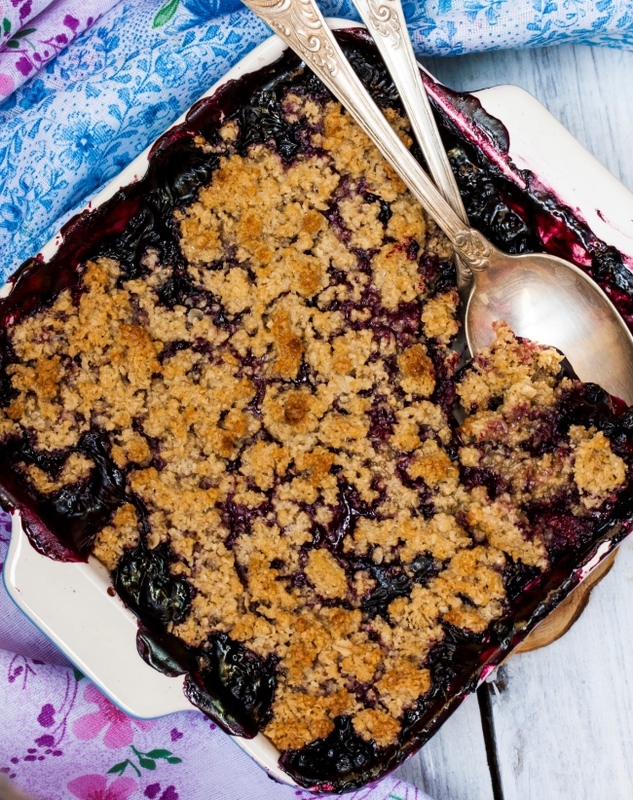 Cultivated blueberries are juicier and are available fresh all year, while small wild blueberries are almost always found in the freezer (if you’re lucky). Both cultivated blueberries and wild blueberries are high in fiber and vitamin C, but they have slight differences you can read about below. 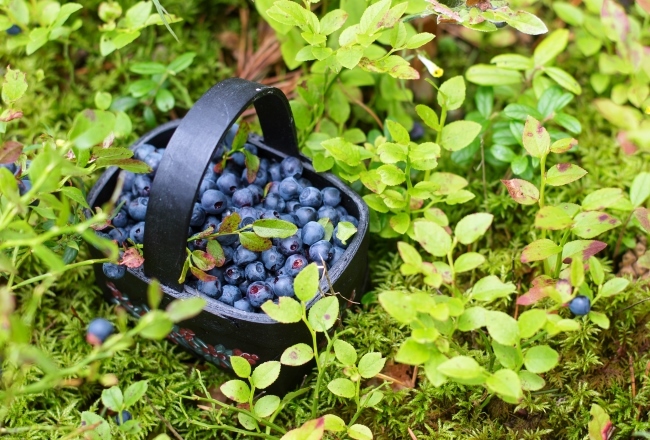 Research shows that the wild blueberry is packed full of more beneficial phytochemicals than cultivated blueberries. What‘s the Difference Between Wild Blueberries and Cultivated Blueberries? Cultivated blueberries take careful planning when planting. 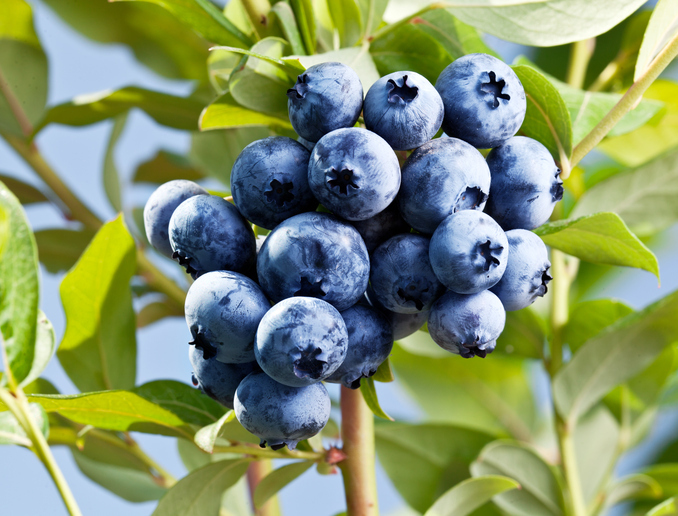 Most U.S. grown blueberries can have high levels of pesticide residue. Blueberries are on the top twenty list of crops with the most pesticides from the Environmental Working Group. They are grown all over the U.S., which is the biggest producer of blueberries. These countries are the next biggest producers: Canada, Poland, Germany, Mexico, France, Netherlands, Spain, Sweden and New Zealand. They are grown on high bushes of about 6 feet and can grow to 12 feet. They are harvested in North America from April to October. They are a bigger, juicier berry than wild blueberries. They ship well because they are cultivated to do so. While some wild blueberries are cultivated, thousands of acres grow naturally in fields and rocky hills and have been growing there for thousands of years. They grow wild in Maine, Atlantic Canada and Quebec. In some areas, the locals go out to harvest them. They are native to Eastern North America and only grow there. Canada is the largest producer of wild blueberries; they are Canada’s top fruit export. They are a low-maintenance crop. The owners of the fields of wild blueberries are hands-off, although sometimes they introduce bees to pollinate the bushes. They grow on low bushes of 4 to 15 inches high. They spread with underground runners. Being a low bush and often on rocky terrain, they often cannot be harvested with machinery; they are mostly hand-harvested with rakes to scoop berries off the bushes. They are harvested in early August to early September. Wild blueberries are smaller and less juicy than cultivated blueberries. They have a sweeter and more intense taste than cultivated blueberries. They hold their shape and color when baked. They are highly perishable so most of them are frozen, but they freeze very well. They have 2 times more antioxidant power than cultivated berries. The deep-blue pigments of wild blueberries are due to anthocyanin, which has a powerful health protection potential. “When you break open a wild blueberry or eat it you’ll get stains on your fingers. Those stains are pigments which are the health protective compounds which help with … cardiovascular disease, type 2 diabetes … memory [and] many forms of cancer.” ~ Mary Ann Lila, the director of the Plants for Human Health Institute, told TODAY. Research found that one cup of wild blueberries has more antioxidant capacity than 20 other fresh vegetables and fruits (including cultivated blueberries, plums, cranberries, strawberries and raspberries). They have the highest total phenolic content per serving in the 25 fruits and 27 vegetables most consumed in the United States. A phenolic is a phytochemical compound that helps plants in reproduction and healthy growth. This is passed on when we eat them as this helps produce antioxidant and anti-inflammatory properties in us which reduces the risk of many chronic diseases. Children of school-age who eat wild blueberries have an enhanced ability in mental skills such as helping them pay attention, complete tasks and manage time, according to this study. Also, they help improve memory and mental function of older adults, according to research. In one study, wild blueberry juice was consumed by nine older adults and at 12 weeks there was a marked improvement in memory recall. “Therefore, impact of flavonoids on positive mood in children and young adults could reduce their risk of depression in adolescence and later in life,” said study co-author Shirley Reynolds, Professor of Evidence Based Psychological Therapies at the University of Reading. Wild blueberries have 30 percent less sugar than cultivated blueberries (10 grams of sugar per cup). They are good for diabetics as they don’t cause spikes in blood sugar; they are a low-glycemic food with a score of 53 on the 100-point Glycemic Index. Where Can You buy Wild Blueberries? Wild blueberries are available all year because you can buy them frozen. It’s best to get wild blueberries, but if you can’t find them, then the cultivated ones are still a good addition to your diet. Are frozen berries as nutritious as fresh ones? Frozen fruits and vegetables are just as healthy as fresh and some even retain their nutritional value longer, according to the U.S. Food and Drug Administration. For wild blueberries, this is good news as they freeze very well. 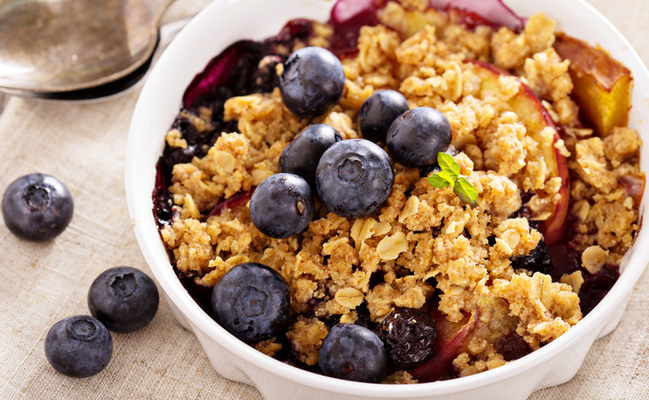 Try my delicious Blueberry Crumble Recipe! I eat a handful of blueberries and a handful of almonds on top of my muesli in the morning. Not mad on them, but they do have many health benefits. I have blueberries and blackberries in my oats every day. A nutrition site I often refer to lists blackberries as more nutritious than blueberries. There are many wild blackberry plants in our area, but summer takes a long time to ripen them in these northern climes. I prefer wild blueberries especially those I find in the nature in summer.